You can use all of them combined or just a set of them. You should reflect at least once a week an review your inbox tasks, your closed and delegated tasks and get everything organized again. 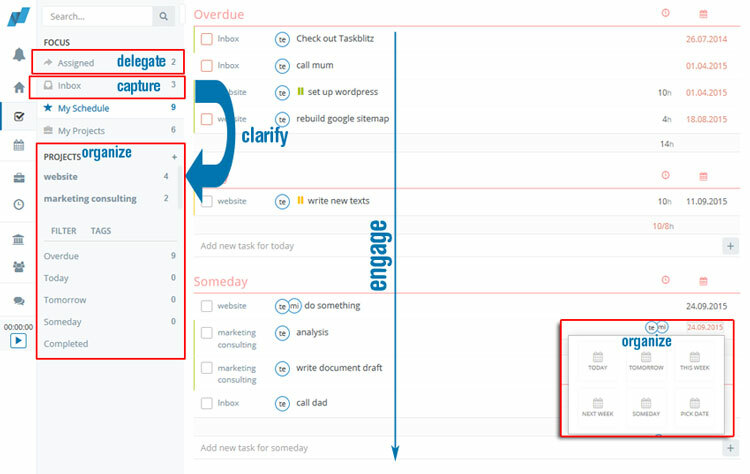 Engage is the last step where you actually work on tasks and tick them as complete after finishing them. In taskblitz you can also track time to monitor later the gap between estimated and actual task completion time.